Genevia - Balmain, Stella McCartney, Givenchy, Chloe, Chanel, Etro, Marchesa, John Hardy, Chariol (I like the mix of femininity and masculinity). 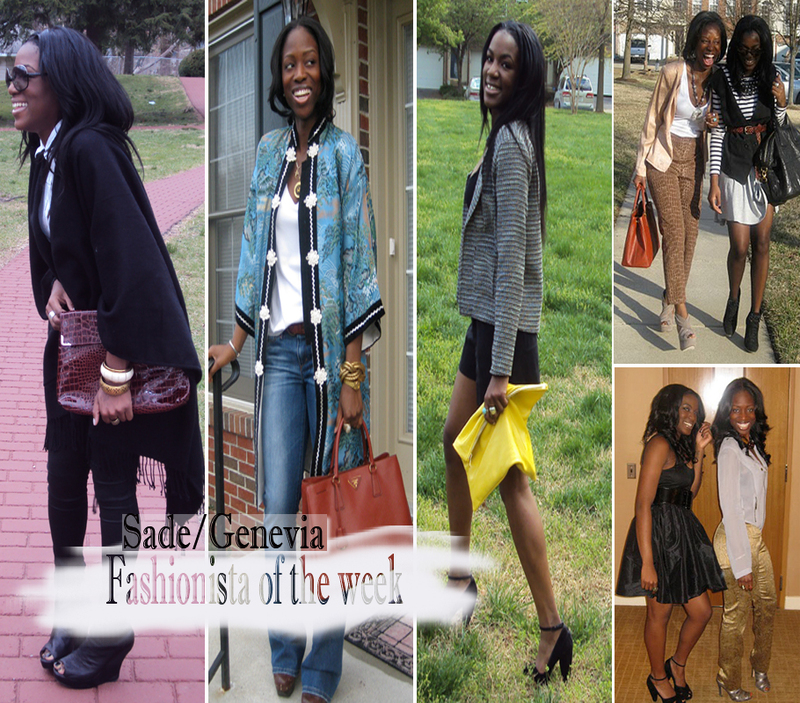 Sade - Chloe, Givenchy, Duro Olowu, Stella McCartney, Maki Oh, Phillip Lim, YSL, Proenza Schouler, Tiffany Amber, SUNO. Genevia - I would describe my personal style as plain Jane with an attitude. I enjoy keeping things simple, but never common. Things that already have personality and add to mine are the best things money can buy, in my opinion. So, I find myself at lots of thrift stores, consignment shops and vintage stores. I have fun with my clothing and I don’t take myself too seriously. Downtown cool, always! Sade - How would I describe my style…simple&chic but it definitely depends on my mood. But I can say one can never go wrong with black :) The places I've lived and visited definitely have influenced my style as well. Growing up in Maryland, with briefs stints in Nigeria and London and now residing in Philadelphia, I’ve come to understand the importance of expression…the importance of fashion. Sade - Never say never, but I wouldn't be caught dead in a pair of crocks! Sade - I prefer heels but I'll switch into a good pair of flats when the pain sets in!